The new Infantry Rifles have arrived, and planes are back to some extent. Fortnite: Battle Royale’s v8.40 update is upon us. Epic confirmed yesterday that it was coming this morning, and the company has already turned off the servers for maintenance and released the full patch notes. Players can expect to jump into the game again in a few hours from now, when the servers will be turned back on with the update already implemented. Leaving the Epic Games’ client open should allow them to download the update normally even during the server downtime. The v8.40 update is bringing planes back to Fortnite in a new Limited Time Mode and, fortunately, they’ll stay away from the main game modes. 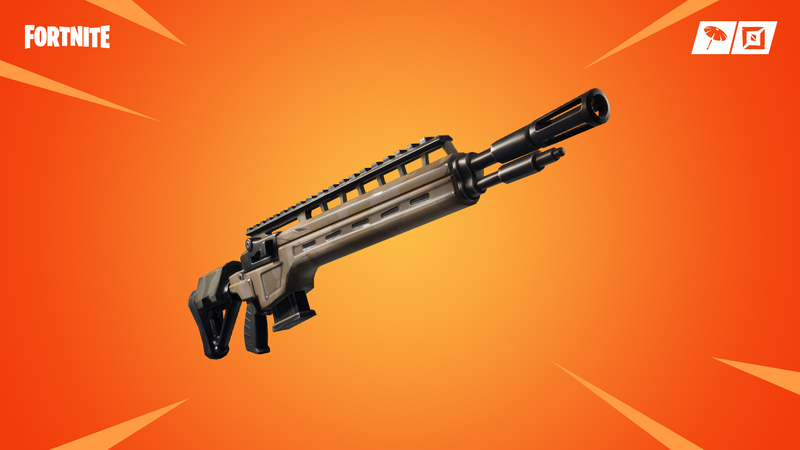 The long-awaited Epic and Legendary Infantry Rifles have been added to Fortnite in the v8.40 update. They were found in the game files by data miners in season seven, and now they’ve arrived. They deal 42 and 44 damage respectively and can be found from Floor Loot, Chests, Supply Drops and Vending Machines. The X-4 Stormwing planes are back in Fortnite: Battle Royale. They were vaulted as soon as season eight started, and nobody seemed to miss them. Now that they’re back, at least it’s only for a limited-time mode that players can choose when to play. This game mode called Air Royale was leaked a few days ago by Fortnite data miners, who found evidence of X-4 Storming planes coming back in this kind of environment. Air Royale will start as a Duos-only mode, and players are forced to fly in their Stormwing until they are taken down three times. It’s possible to steal someone else’s plane and add it to your plane count. Epic made no other big gameplay changes in the v8.40 update, and players should be able to test the game again in a few hours. The full patch notes are available at Epic’s website.